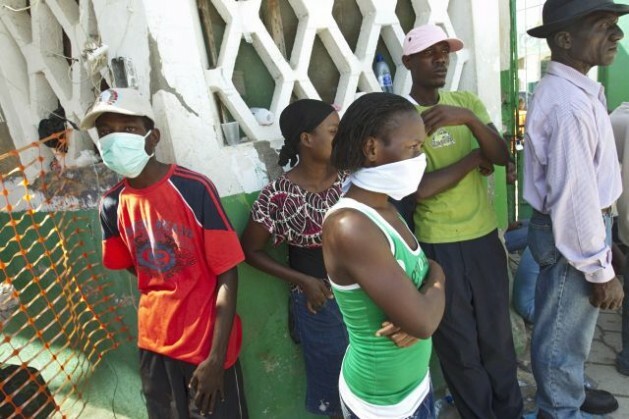 UNITED NATIONS, Feb 22 2013 (IPS) - The United Nations has come under heavy political fire for its decision to deny compensation for thousands of victims of cholera in Haiti – a deadly disease spread by U.N. peacekeepers in the troubled Caribbean nation. “The decision is really outrageous,” Michael Ratner of the Centre for Constitutional Rights, told IPS. “Can it be where we live in a world where people under the U.N.s authority can cause a major epidemic and the U.N. claims its sympathetic, but will not lift a finger to compensate people of its wrongs?” he asked. If this were a private corporation that could be sued in a U.S. court, there is little doubt that it would end up paying hundreds of millions, if not billions in damages. Ratner said the U.N.’s claims were the very definition of crocodile tears. Justice here is now delayed, “but ultimately I believe the Haitian people will prevail,” said Ratner, who also teaches international human rights litigation at Columbia University. The United Nations could also face legal action internationally – perhaps going as far as the International Court of Justice (ICJ) in the Hague – despite its legal immunity as a protective shield. But it has to be kept in mind, he pointed out, that the United Nations is not just an independent actor here. “Its actions in Haiti, like its deployment to Haiti, are determined by the United States and its allies in this situation (since there isn’t any group of nations opposing them),” he said. So, the responsibility is really with the “international community” who brought these troops to Haiti. “If they wanted to clean up the mess they made, they could do it. And they will, if there is enough political pressure,” he added. The ICJ, which is a judicial organ of the United Nations, primarily resolves disputes between and among U.N. member states. Under this Section, the United Nations is required to make provisions for “appropriate modes of settlement” of private law disputes to which the world body is a party, or disputes involving a U.N. official who enjoys diplomatic immunity. Nesirky also said he was not in a position to provide any details. “It’s not the United Nations’ practice to discuss in public the details of, and the response to, claims filed against the organisation,” he told reporters. The spread of cholera in Haiti, which has killed more than 7,500 and infected over 500,000 people since October 2010, has been sourced to the Nepali contingent of peacekeepers with the 9,500-strong U.N. Stabilisation Mission in Haiti (MINUSTAH). Ban conveyed the U.N. decision to Haitian President Michel Martelly early this week. The families of the next of kin sought a minimum of about 100,000 dollars for each Haitian killed in the cholera epidemic. Last December, the United Nations launched a two-billion-dollar humanitarian appeal to fight the epidemic. She singled out France and the United States – “whose decisions determine U.N. actions, as well as the entire list of wealthy countries who pledge funds to support peacekeeping activities, but who routinely fail to meet their promised amounts”. Weisbrot told IPS the United Nations is not supposed to be immune from this legal action under their own rules but they are pretending to be. This is not unprecedented, he said, in that U.N. troops have committed abuse in other countries without being held accountable for it. “One thing that is perhaps unprecedented here is that the U.N. troops don’t really have a legitimate reason for being in Haiti in the first place,” he added. Weisbrot said there was no peacekeeping agreement for them to help enforce, or post-conflict situation. “They were brought to Haiti in 2004 to support a coup that was engineered by the United States and its allies, against a democratic government. So that is unprecedented,” he said. Weisbrot also said the scientific and forensic evidence that U.N. troops brought cholera to Haiti is far beyond the standard of reasonable doubt required in the U.S. criminal justice system, let alone the less exacting standard of preponderance of the evidence in a civil suit. He said it included studies by independent scientists, articles published by the New England Journal of Medicine, the U.S. Centers for Disease Control and Prevention, and even the U.N.’s own research. “If this were a private corporation that could be sued in a U.S. court, there is little doubt that it would end up paying hundreds of millions, if not billions in damages,” he said. The U.N.’s denial, he said, represents a failure not only of the U.N. system, which is abused by the rich countries, but a moral failure by the U.S. and its allies, who sent those troops to Haiti without proper safeguards and against the will of the Haitian people. Bennis said the tragedy of the cholera outbreak in Haiti reflects two separate trajectories, both of which are rooted in international power imbalances. Haiti’s endemic poverty results from a centuries-old legacy of colonialism, slavery, U.S.-backed dictatorship, and most recently a ruthless profit-driven globalisation that has left its people impoverished and the country without a sufficient infrastructure even to provide clean water and sewage treatment. “The failures of the U.N.’s peacekeeping system are rooted in the dominance of major powers over UN operations, in which rich countries make the decisions while poor countries provide the troops – usually without adequate preparation, training, or, as we saw in Haiti, even decent facilities,” said Bennis, author of ‘Calling the Shots: How Washington Dominates Today’s UN’.